As 2018 came to a close, auto industry experts and analysts from across the globe set forth an abundance predictions. 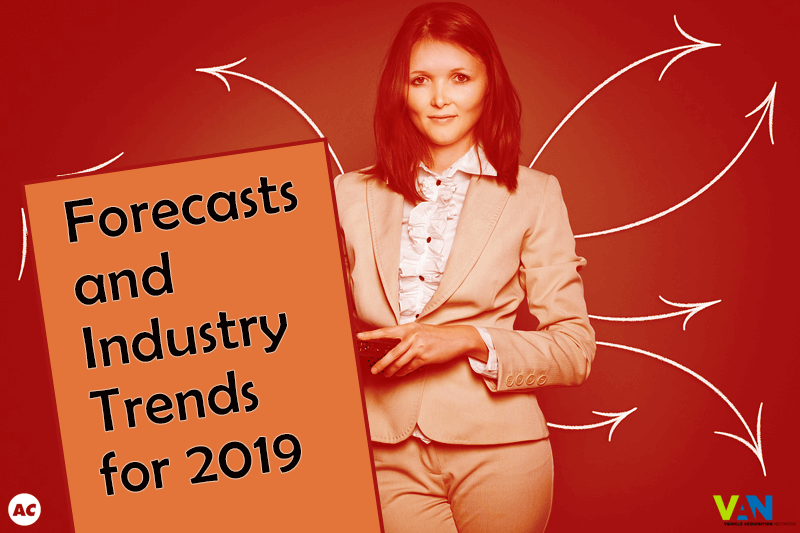 We’ve rounded up some of the more notable used car industry trends and predictions for 2019. At Auto Remarketing, Nick Zulovich focuses on the continuing migration to used vehicles. He traces the migration directly to the growing difference in monthly payments between new and used cars. With a difference of nearly $150, it adds up to $1,800 over the course of a year – a savings substantial enough to make any buyer think twice about buying used. Also fueling this migration is the increase of quality in the used car market and a customer base that knows what it wants. Cars are being cared for more carefully by owners judging from the inventory many dealerships report, especially from private sellers. At the same time, buyers are much more likely today to have researched the make and models they’re interested in before ever stepping foot in a dealership. That homework on their part means they often come into a dealership ready to buy. While many thought buyers wouldn’t be comfortable buying a car online, the market has proven otherwise. Over the past few years – and especially within the last 24 months – internet shopping for vehicles has grown by leaps and bounds. This shift has spurred some dealerships to join in with start-ups and offer online shopping as well as car valuations and financing options all through their websites. In an article for Market Watch, Wall Street Journal author Adrienne Roberts uses the example of Carvana to illustrate this segment’s growth. She points out that Carvana sold 230 cars in 2012. By 2017 sales topped 44,000 for the year. By the third quart of 2018, however, Carvana was reporting sales of 66,400 cars with another three months of the year yet to go. While there are still plenty of challenges to overcome when it comes to selling cars online, there’s clearly a market ready for change. Read her full story on this emerging trend here. Wards Auto sat down to talk to Eric Lyman of TrueCar about everything from the new vs. used debate among buyers to why car manufacturers care about the used car market. With a shift in what people are looking for as well as more discerning buyers willing to research preferred makes and models, it’s no wonder that more and more people are opting for used over new. Across the board, the message is the same: A market with higher quality customers who know what they want and dealerships ready to meet and engage with customers across multiple platforms. No matter which way you cut it, 2019 looks like it will be one of change.